At the stroke of 2 o'clock Tuesday afternoon, diplomats, students from Prime Minister Andrew Holness' alma mater St Catherine High School, and other guests were seated in the gallery of Gordon House to hear his contribution to the Budget Debate. But they would have to wait another 50 minutes before Holness arrived at Duke Street. 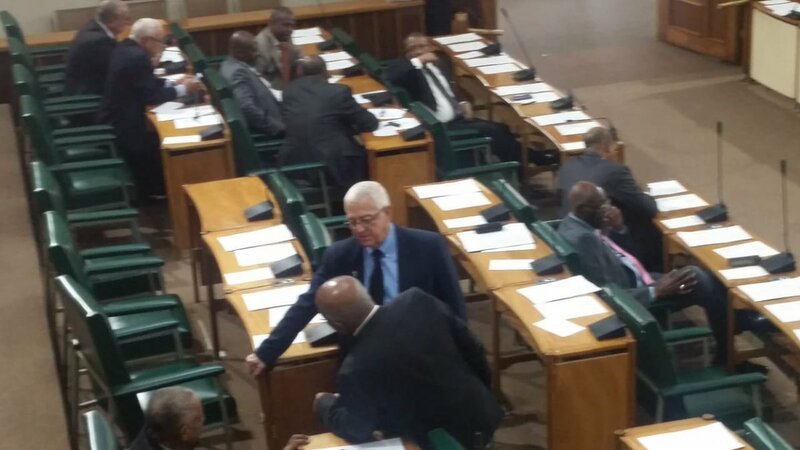 IN PHOTO: Government MPs interact before the start of the sitting. While they waited, the Members of Parliament engaged in conversation in the chamber. Diplomats at one time got busy on their cell phones. 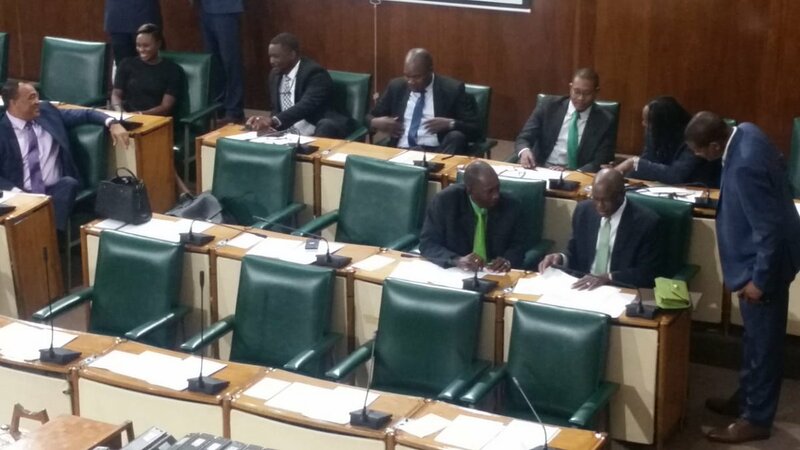 IN PHOTO: Opposition MPs awaiting the start of the sitting. The actual sitting got under way at 3:05 p.m., and soon after, the prime minister rose to begin his three-hour speech. But why did the sitting begin so late after its scheduled 2 p.m start? 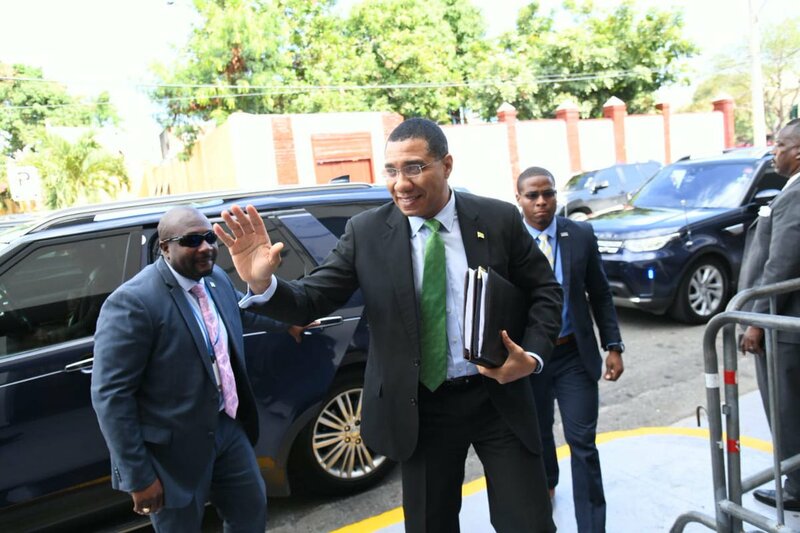 IN PHOTO: Prime Minister Andrew Holness arriving at Parliament. House Speaker Pearnel Charles sought to explain why just before adjourning the House around 6:25 p.m.
"Today, a number of members have complained. The Speaker decided that there was no business today other than public business, and, as such, in conjunction with the leader of government business, we started the House at 3 o'clock. Those who are complaining from the opposition side, even some were late coming in, please understand that."